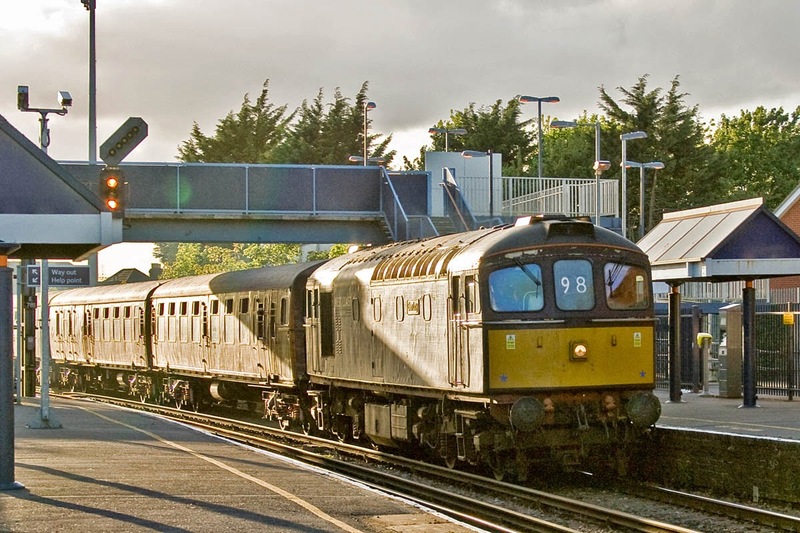 1Z33 17:00 Swanage to West Ruislip at Redbridge. 22 minutes late, but much regained by minimum station stop time at Eastleigh. 33029 Glen Loy, was delivered as D6547 in March 1961. 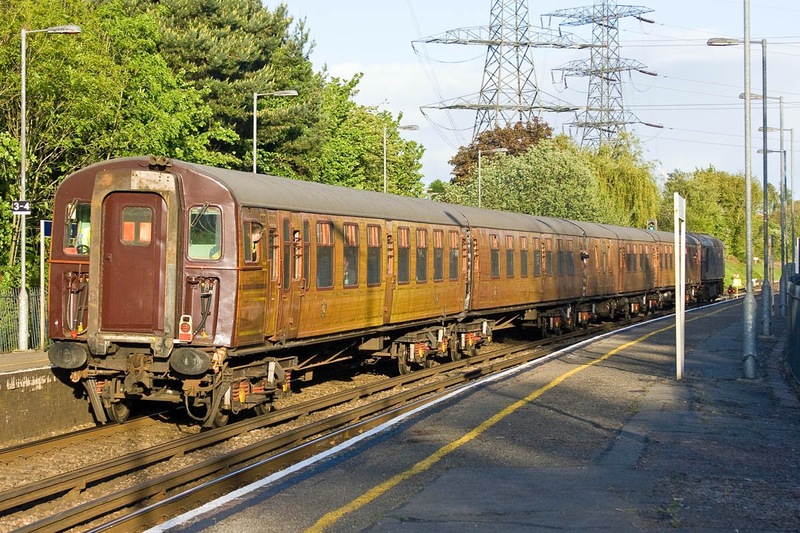 The first coach is DTS 76324, originally delivered in May 1956 as S4009 from Swindon with frames from Ashford, to lot 30149, and converted into 4TC unit 428 in March 1967. 428 renumbered to 8028 in June 1986, 76324 was reformed into 6REP 1903 in April 1990, then 1901 from March 1991 until withdrawal in February 1992 and sale to London Underground. 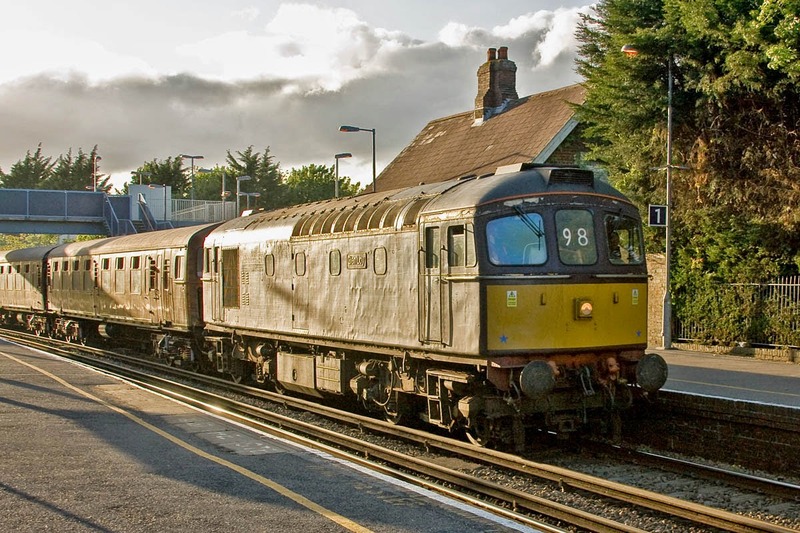 The rear coach of the 4TC is DTS 76297, which was part of unit 415 when converted in November 1966. Originally TSO S3938 from Lot 30086 completed at Eastleigh in September 1954. Unit 415 renumbered to 8015 from October 1986. 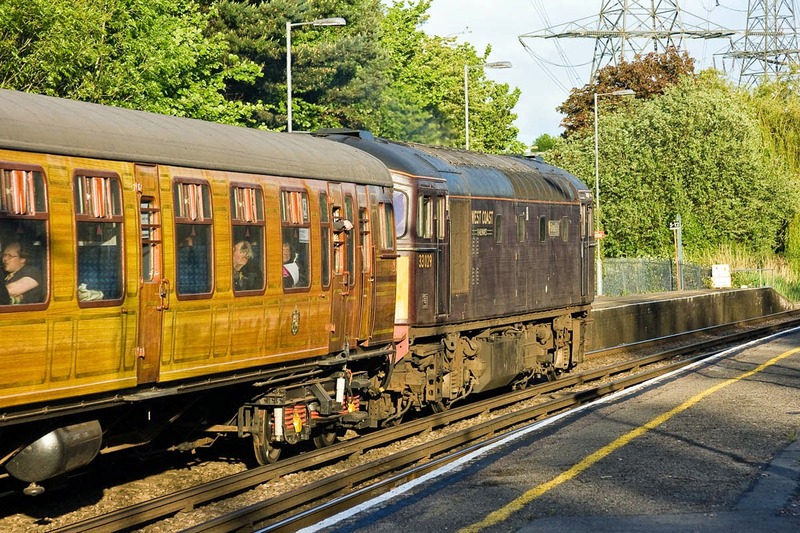 The coach was withdrawn in May 1991 and sold to London Underground.